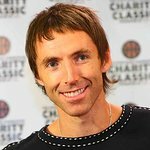 Today two-time NBA MVP Steve Nash announced the seventh edition of his popular charity soccer match, the Steve Nash Foundation Showdown, to return on Wednesday, June 25, 2014, in New York City. Showdown is a fast-paced, competitive soccer match featuring NBA and professional soccer players, joining forces to support the Steve Nash Foundation’s work to benefit underserved children. All proceeds from Showdown ticket sales will benefit the Foundation’s early childhood education platform, Educare. 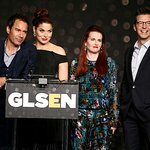 For the first time, Steve & the Foundation are offering one lucky winner a chance to play in the game – through Prizeo, fans can donate at levels starting at $10 to enter to win a trip to New York City, a two-night hotel stay at the SIXTY LES, and a walk-on cameo with the pros – and a host of other memorabilia. More details at SteveNash.org/Showdown and at Prizeo.com/SteveNash. This year’s Showdown kicks off at 6:30pm, with the best of two sports worlds competing at Sara D. Roosevelt Park in the Lower East Side (at Chrystie and Stanton Streets). The next day, ticketed fans will be invited to gather for a Showdown World Cup Viewing Party to watch Team USA play Team Germany in a Group G Stage game. Showdown is sponsored by CyberDust, Umbro, JetBlue, Major League Soccer, Jawbone, and Phebe’s Tavern & Grill. Past Showdown rosters have included NBA players Tony Parker (San Antonio Spurs), Chris Bosh (Miami Heat), Jeremy Lin (Houston Rockets), Klay Thompson (Golden State Warriors), and international and MLS soccer pros Thierry Henry (New York Red Bulls), Alonso (Liga Veteran), Robbie Rogers (Los Angeles Galaxy), Salomon Kalou(Lille), Claudio Reyna (USA World Cup Team), Patrick Vieira (Manchester City), Giuseppe Rossi (Fiorentina) Javier Zanetti (Inter), Sammy Amoebi (Newcastle), Stuart Holden (Bolton), Oguchi Onyewu (Malaga CF), and Rod Fanni (Olympique de Marseille). Tickets and VIP packages to Showdown and the Showdown World Cup Viewing Party are available at SteveNash.org/Showdown. Live insights into this year’s lineup, archived materials and prizes (including autographed merchandise) will also be announced through the @SteveNashFdn twitter handle.